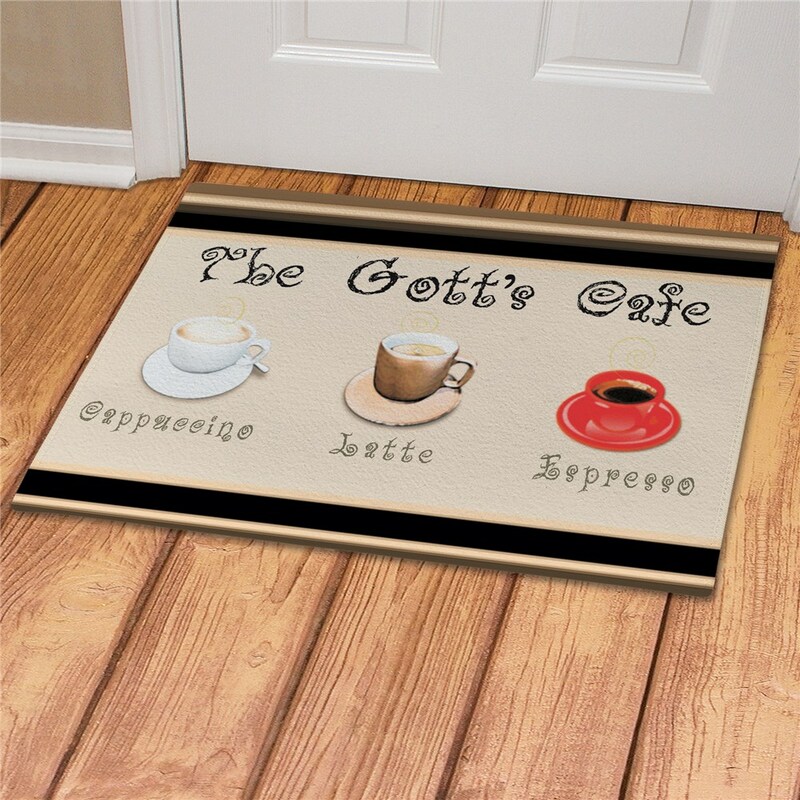 Whether your house guest prefer Cappuccino, Latte or Espresso coffee, your attractive Cafe Personalized Doormats are sure to welcome all with great pleasure. 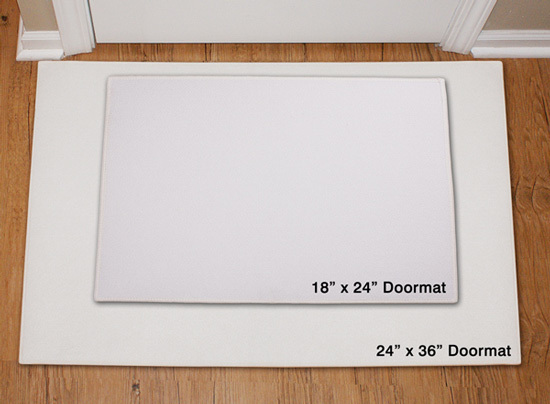 What better way to add a splash of color and interest to your front door than with one of these romantic Cafe Custom Doormats. Please choose between two great sizes, 18" x 24" or 24" x 36". Both are safe for outdoor or indoor door mat use. 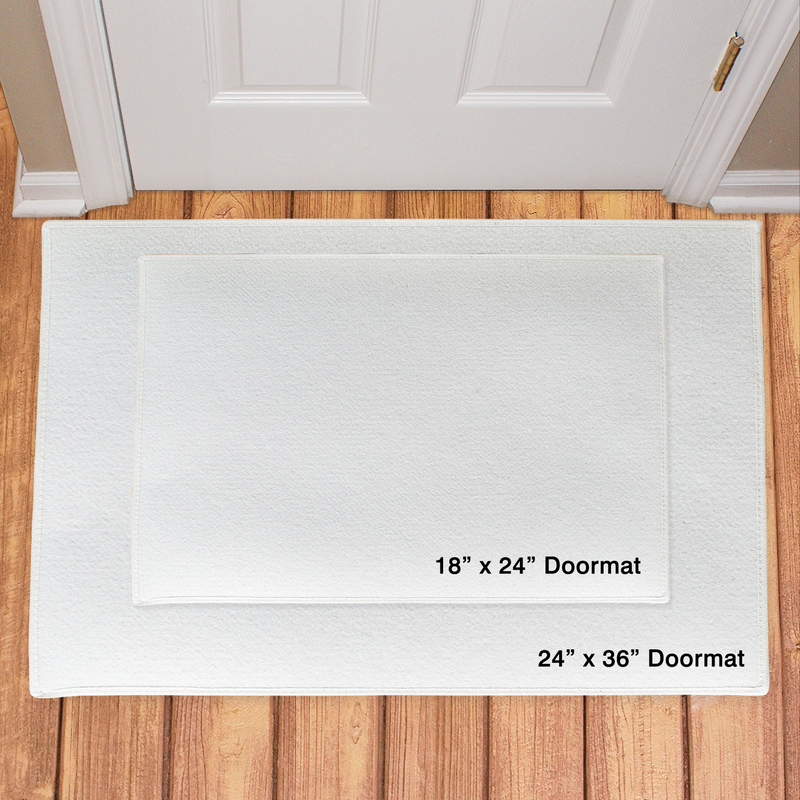 Your Custom Printed Coffee Lover Doormat is 1/8" fleece smooth with latex action backing and white bound edging. Includes FREE Personalization! Personalize your Cafe Door Mat with any name.